Join us for a day that will be fun for the entire family! Four bands in ONE day, Hensley Beer Garden for the adults and bounce houses, face painting for the kids! 15+ vendors, food and more. 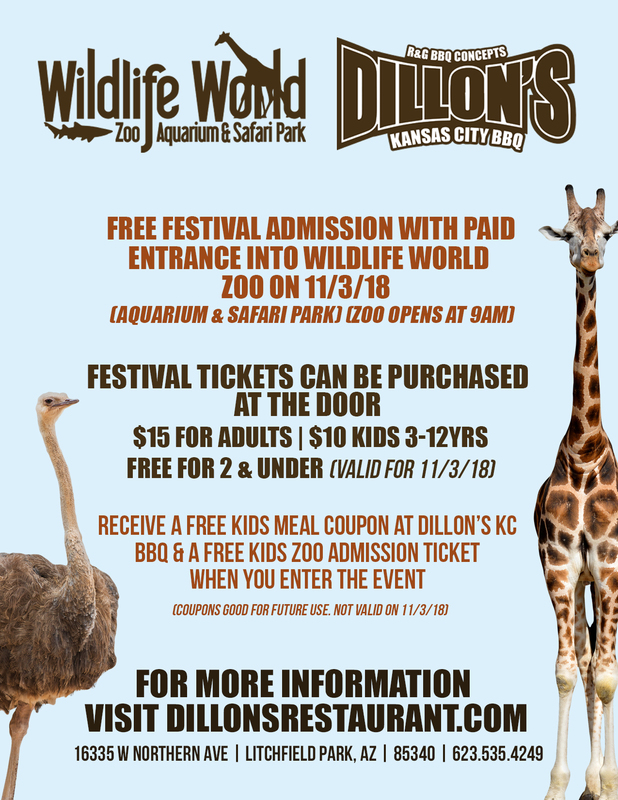 Make it an all day event and get to the zoo at 9am, festival FREE with paid zoo admission day of event(11/3/18, one FREE festival admission with one paid zoo admission). Festival begins at 2pm. For more information on vendor options, please call Keli at 623.566.8100.